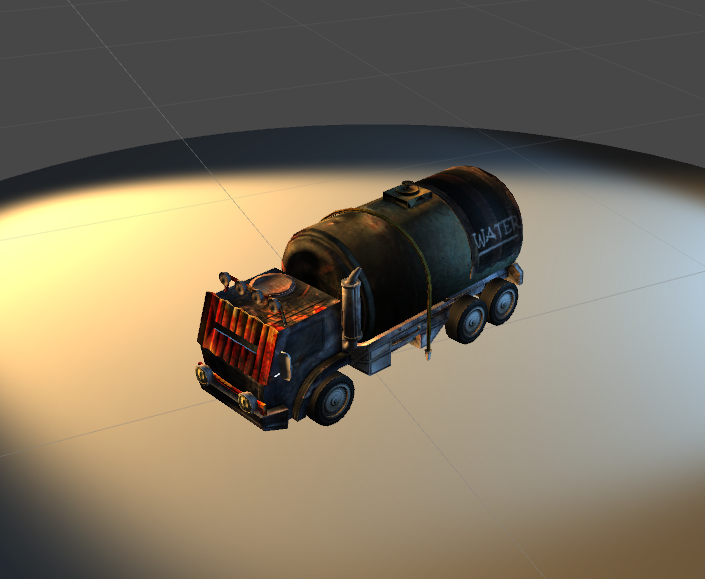 Here's my take on the water truck. I'm planning on submitting soon, but I figured I'd get a bit of feedback before then and see if anyone hates anything about it that I could fix. That's a nice looking truck. I like the corrugated metal over the front windshield. A weapon mounted to the top for defense could be cool, but that might be a bit too much, idk. Very solid design. I like it. Thanks for the feedback! I gather there's nothing too offensively bad about it, which is a relief. It'll be a few hours before I can spare the time to make the required images for the Unity asset store, so I'll likely be past the deadline. Hopefully it makes it through anyway . Nice design and looks very unique. mwilson wrote: Nice design and looks very unique. Thanks. I actually played it fairly close to the concept art.